With a robust, compact design and a U-Turn paper path, the imageFORMULA DR-M140's intelligent features make it a superb productivity booster in busy office departments and workgroups. Professional software suite includes eCopy PDF Pro Office. The DR-M140's superbly compact dimensions make it the natural choice in environments where space is often limited - from busy offices to narrow counter tops, reception desks and customer service areas. The selectable U-turn feeding mechanism ejects scanned documents via the top of the device. When not in use, the DR-M140 is small enough to store conveniently in a drawer. The impressive imageFORMULA DR-M140 delivers full-rated colour scanning speeds of up to 40ppm/80ipm, at 300dpi, ideal for demanding paper-intensive environments where greater accuracy is needed for document data recognition and file classification. Built on the same reliable paper transport system as its predecessor - the DR-M140 is rated to scan up to a productive 6,000 scans/day. A selectable U-turn or straight through paper path allow for smooth scanning operation of a variety of media types, including embossed cards, thick and thin media and 3m long documents. With a robust separation mechanism the DR-M140 reliably scans mixed document sizes and weights together. Ultrasonic double feed detection quickly identifies misfeeds, while a double feed release button lets you 'ignore and continue' scanning in special cases, such as an envelope or a document with a sticky note attached. The DR-M140 comes with the latest image processing features to help you achieve outstanding quality results every time. Features such as auto colour detection and an auto resolution setting ensure consistently superior image results; while MultiStream accommodates workflows required for improved OCR processing. The imageFORMULA DR-M140 comes with a superb range of market-leading software. 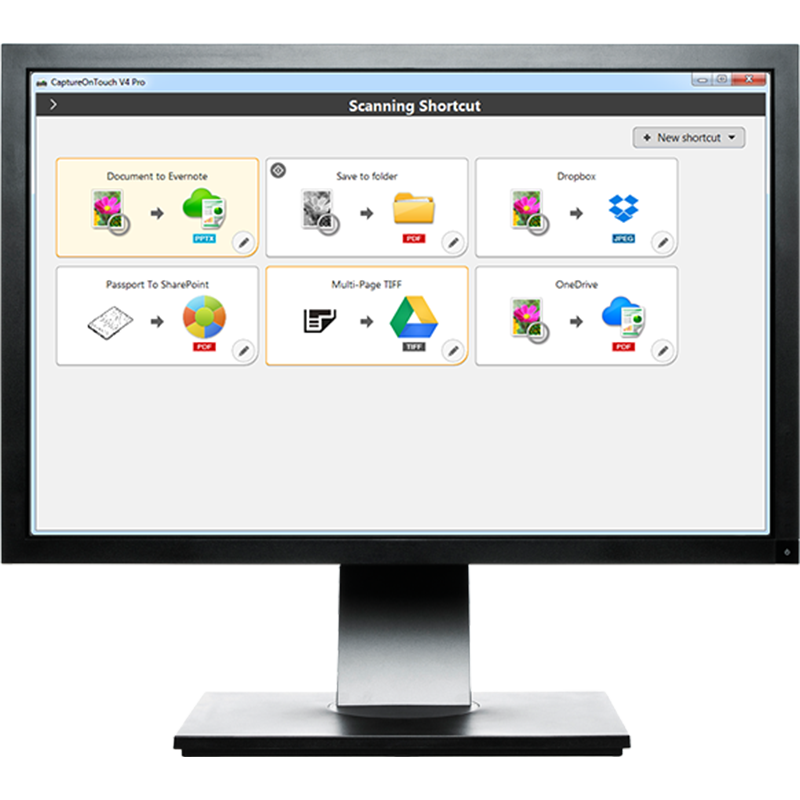 It supports scanning to multiple file formats, including PDF, PDF-A, TIFF, JPEG, BMP and PowerPoint, while users can send files direct to a network folder and SharePoint. CaptureOnTouch features an intuitive user interface, including the Full Auto-Mode feature for a simplified scanning experience. 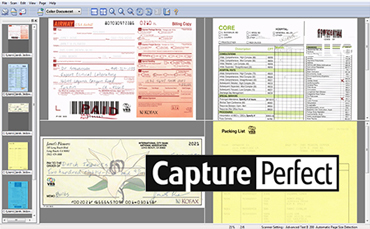 CapturePerfect offers powerful software scanning tools for more mission-critical batch scanning applications. Also included is Kofax VRS, and eCopy PDF Pro Office, providing a full and professional software suite. Find out more about the Canon imageFORMULA DR-M140, its features and what it can do.